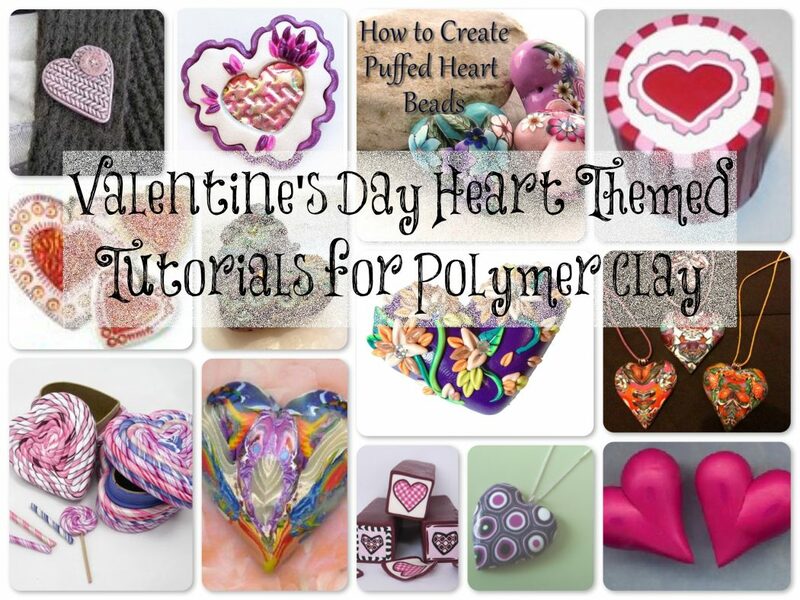 I’ve searched high & low for some of the best Valentine’s Day, polymer clay heart tutorials on the internet. Here’s some of the best (and most popular) that I could find online. Enjoy & feel free to repin them if you’d like. Faux Knitted Heart Brooch Tutorial by Kollika (this tutorial is not in English). Repin Here. Holo Heart Effect Pin. Created by Katie Oskin of KatersAcres. From Ginger Allman’s Holo Hearts Tutorial. Repin Here. Puffed Heart Beads by SigalsArt on Etsy. Repin Here. 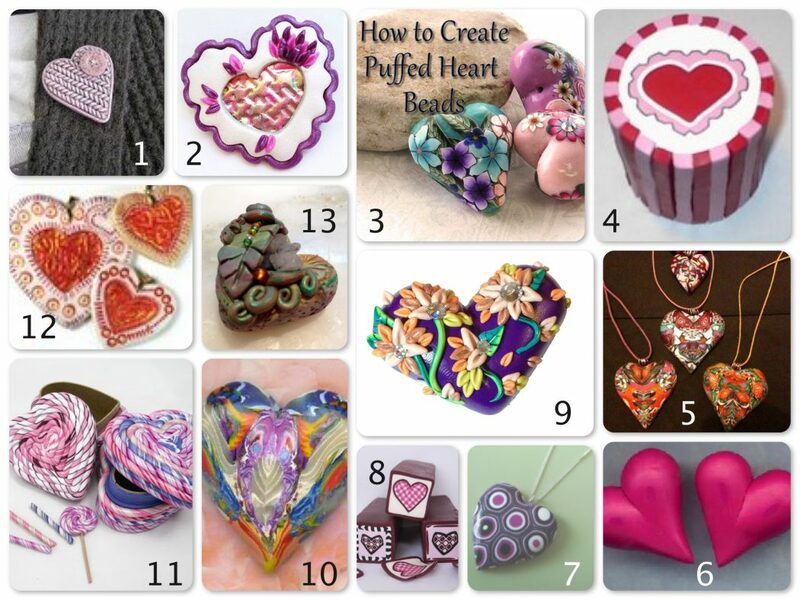 Laced Edge Caned Heart Tutorial by Candace Mathewson on Polymer Clay Central. Repin Here. Scrap Clay Heart Pendants by Karen Walker. Repin Here. EZHearts by Elissa Powell. Repin Here. Retro Cane Heart Pendant by CraftyNetwork. Repin Here. Slice & Bake Heart Canes by Meg Newberg. Repin Here. Intermediate Embroidered Hearts by Katie Oskin. 2D Scrappy Hearts by Elissa Powell. Repin Here. Valentine’s Day Heart Shaped Clay Boxes by Meg Newberg. Repin Here. Holo Heart Tutorial by Ginger Davis Allman. Repin Here. Jungle Heart Tutorial by Katie Oskin. Repin Here. (Not Pictured) Steampunk Heart Tutorial by Katie Oskin. Repin Here. Previous post: What to Do with That Scrap Clay? Make Some Cute Pens!